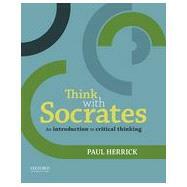 Paul Herrick received his PhD in philosophy from the University of Washington. Since 1983 he has taught philosophy at Shoreline Community College. He is the author of two previous books published by Oxford University Press: Introduction to Logic (2012) and The Many Worlds of Logic, Second Edition (1999). Unit 1. What Is Critical Thinking?